Idomoo merges data and video to deliver exceptional experiences that wow customers. It's customer engagement, done right. The world is changing. 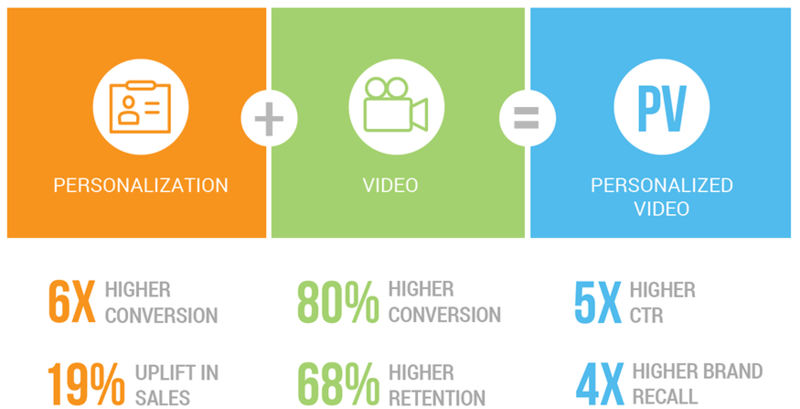 We increasingly expect personalized experiences and content, so why should video be any different? Videos have to be rendered in real time in order to ensure the most relevant data is pulled, as well as extend the option to scale up or down at a moment's notice. Data must be handled securely, and once a video is rendered, all data must be purged. Our enterprise-grade platform delivers when it matters most. Only Idomoo can generate cinematic quality video at scale and in real time. We bring these projects to market using either a Full Service approach or Self Service through our Idomoo Express offering. True frame by frame video generation means that the personalized elements aren't added on as an overlay or an afterthought, but rather are natively integrated into the video and are delivered at the same cinematic quality as the video itself. Sure, PV is great. But if creating, launching and maintaining a campaign causes anxiety attacks, what good is it? That's why we've created a complete suite of tools, purpose-built for a world of dynamic video. Launching a PV campaign has never been easier! At the end of the day, we're dealing with potentially sensitive customer data. Videos have to be rendered in real time in order to ensure the most relevant data is pulled, and if we need to be able to scale up and down at a moment's notice. Data must be handled securely and once a video is rendered, all data must be purged. Our enterprise-grade platform delivers when it matters most. 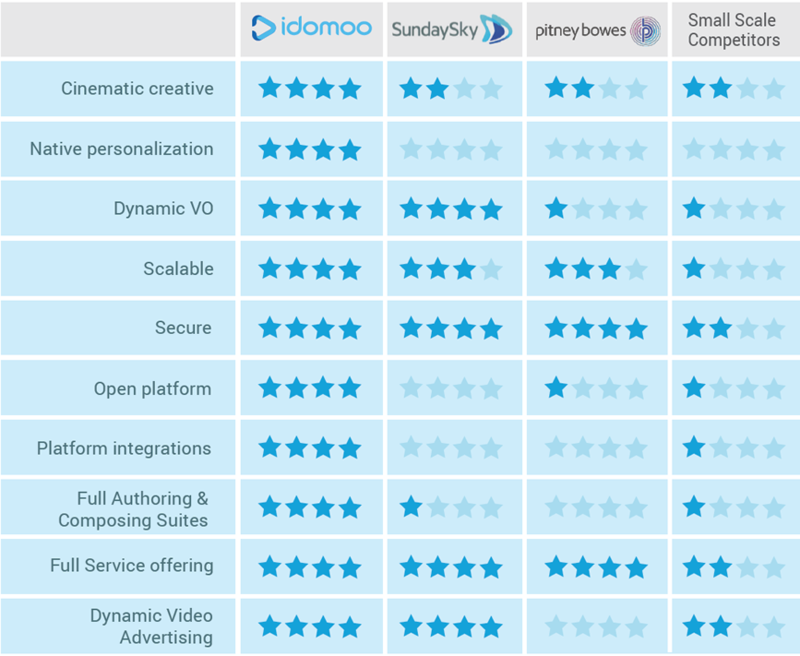 Only Idomoo can deliver cinematic quality video generation at scale and in real time.